The NHS Diabetes Prevention Programme (NDPP) was announced in the NHS Five Year Forward View, published in October 2014, which set out the ambition to become the first country to implement fat scale a national evidence-based diabetes prevention programme modelled on proven UK and international models, and linked where appropriate to the new NHS Health Check. The NDPP is a joint initiative between NHS England, Public Health England and Diabetes UK which aims to deliver at a large-scale, services for people already identified with non-diabetic hyperglycaemia, and who are therefore at high risk of developing type 2 diabetes. Individuals at high risk will be offered a behavioural intervention to enable them to reduce their risk of developing type 2 diabetes through weight loss, improved diet and increased levels of physical activity. Local prevalence of Type 2 Diabetes – The most current figures available show that prevalence of Type 2 diabetes in Bradford City is one of the highest (if not the highest) in the country. Figures for Bradford Districts CCG area indicate that is 3rd highest. Public Health England estimate that around 700 people across Bradford will be newly diagnosed each year (rising slightly year on year). Diabetes UK identify Bradford as having the UK’s highest prevalence of diabetes, with more than one in 10 people (10.4 per cent) diagnosed with the condition. The national average is 6.6 per cent. 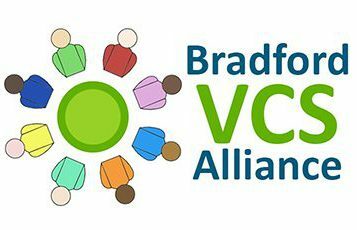 In July 2018 Bradford Clinical Commissioning Group and the Bradford VCS Alliance provider organisations came together to develop a local offer to reduce the number of people in Bradford developing Diabetes by improving the health of those at risk and seeking to address health inequalities by providing greater focus on supporting populations identified as at especially high risk. The VCS Alliance’s provider community offers an intensive, tailored Lifestyle Coach Support to deliver appropriate interventions encompassing improving nutrition and increasing levels of physical activity. This involves both referrals into existing provision and establishing new activities in areas where few exist. The service is delivered by 10 providers creating a robust locality and district wide provision bringing the ability to be flexible and responsive to the diversity of Bradford’s population. The service is sensitive and flexible to the needs, abilities and cultural or religious norms of local people and is able to respond to people who have difficulties with communication or literacy or whose first language is not English.